One of Macau’s famous snacks is the succulent and greasy bone-in pork chop bun, from none other than Tai Lei Loi Kei! 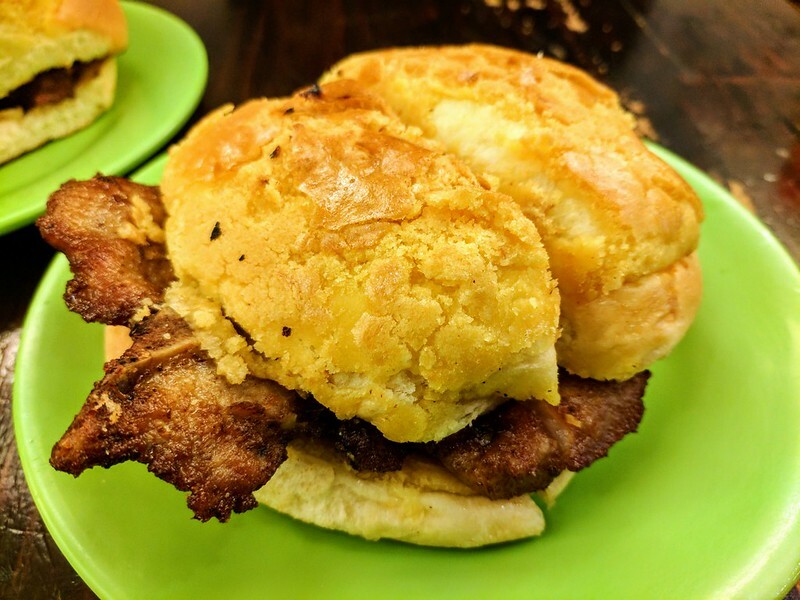 The thick cut pork chop is deliciously marinated and fried to a succulent, tender texture, then stuffed between the crisp yet chewy toasted Portuguese buns, a simple but tasty combination. The café has been in Taipa since 90s serving a substantial number of tourist and visitors. A long queue for purchasing the Pork Chop Bun is commonly seen. In the 1960s, the formerly Taipa was a poor and sparsely populated island which was managed by the former Macau Municipal Council of the Islands. A huge basket with 200 complimentary buns was always applied at the door of the council building to tide over the former population. Those buns were ordered by the council and made by Tai Lei Loi Kei every day. Tai Lei Loi Kei now has four locations in Macau. 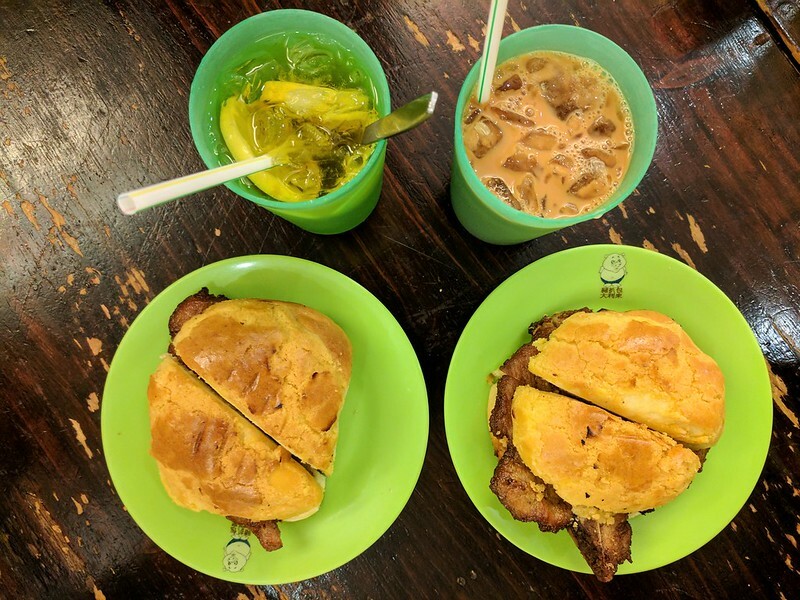 Also, when you order, you can pick the type of bread or bun to go with your bone-in pork chop: traditional Portuguese bread roll, Hong Kong style pineapple bun (bo-lo-bao), or toast. 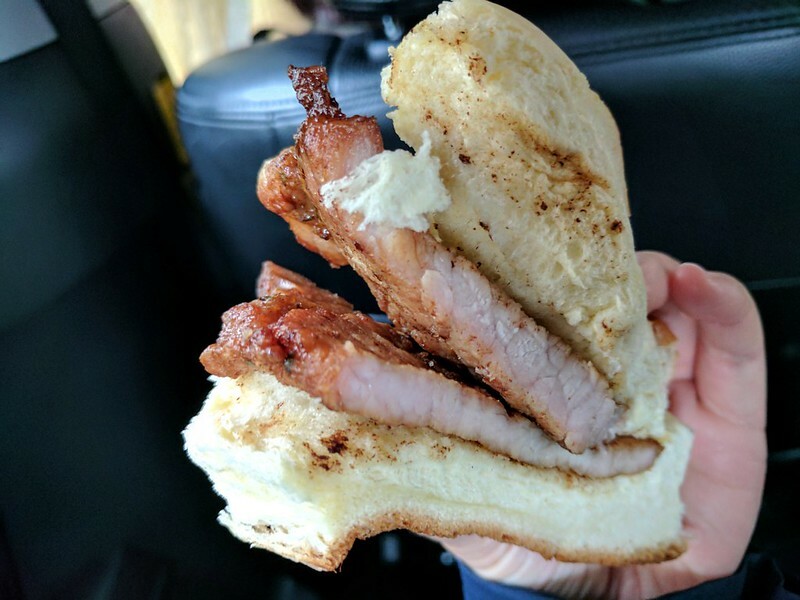 On our first day in Macau, we grabbed pork chop buns with the bread roll to eat in the van during a short tour. The buns were already cut in half, making it easy to share with others! 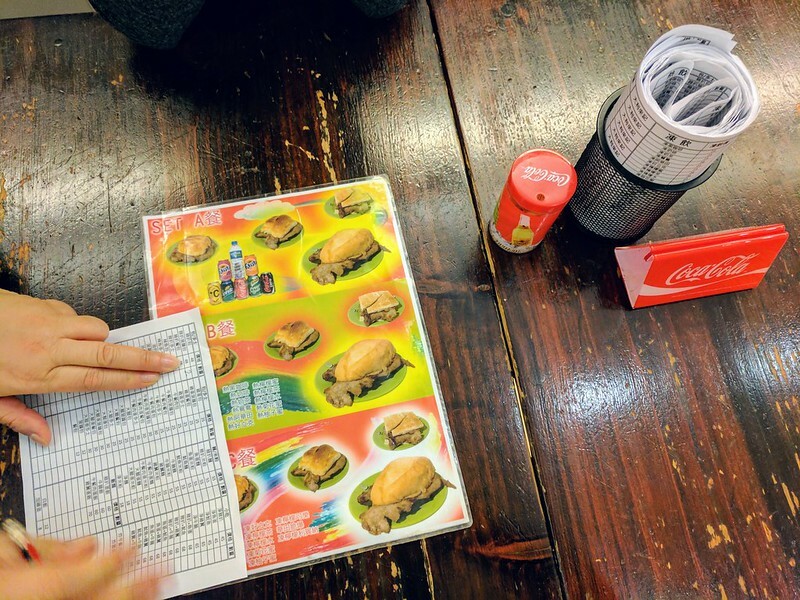 On our second and last day in Macau, we had a chance to dine in at a Tai Loi Lei Kei cafe on R. de São Paulo. The order form was on the table but it was in Chinese, so my cousin had the honors of filling it out for us! We ordered two of Set A (bolo pork chop bun + drink) plus an additional drink for 3 people.